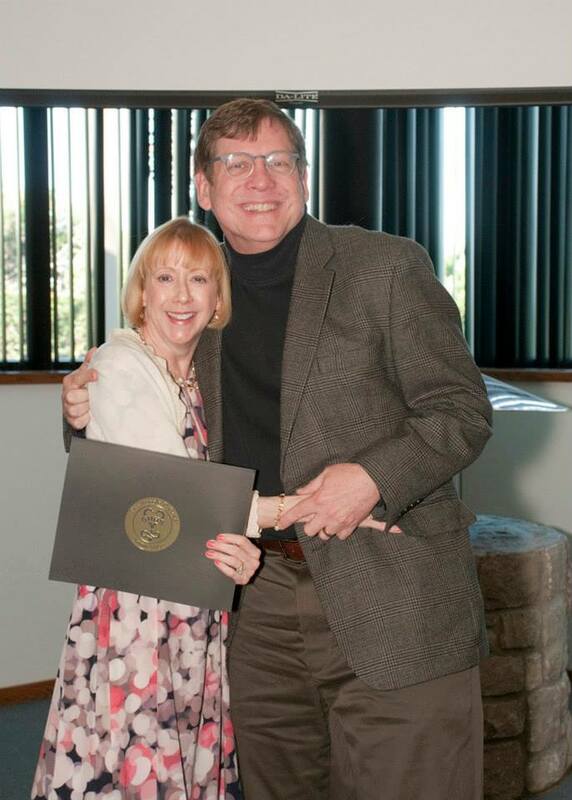 Carol Stanford, M.D., faculty sponsor for the UMKC School of Medicine’s Gold Humanism Honor Society, recognized George Thompson, M.D., associate professor of medical humanities and social sciences, as one of the 2014 GHHS inductees on April 5. The School of Medicine’s chapter of the Gold Humanism Honor Society (GHHS) inducted 20 new members and recognized the winners of this year’s Leonard Tow Humanism in Medicine Award on April 5 during a ceremony at Diastole. This year’s GHHS induction class includes 15 students, four residents and one faculty physician, chosen for their exemplary care of patients and their humanistic approach to clinical practice. Students and faculty make nominations each year based on the individual’s excellence in clinical care, leadership, compassion and dedication to service. Former dean and founding docent Marjorie Sirridge, M.D., was honored as the faculty recipient of this year’s Leonard Tow Humanism Award. Sirridge is also the founder of the School of Medicine Office of Medical Humanities and Bioethics. Pooja Thimmappa, MS 6, is the 2014 student winner of the Leonard Tow award. The Leonard Tow award is given annually to one graduating student and one faculty member who demonstrate the ideas of compassion in the delivery of care, respect for their patients and their families, and for their colleages, as well as for demonstrated clinical excellence. Carol Stanford, M.D., Gold 5 docent and GHHS faculty sponsor, welcomed the new members and presented each with a certificate of induction during the program. A year in review slide show provided highlights of the organization’s events including Kindness is Contagious Week and Solidarity Day. GHHS members also talked about future plans to include a UMKC Resident Chapter and a student research project for GHHS. The GHHS began in the late 1990s and now has 104 chapters at medical school across the United States. The program is sponsored by the Arnold P. Gold Foundation of the GHHS. Henry B. Randall, M.D., F.A.C.S., director of the Henry and Marion Block Liver Disease and Transplant Center in Kansas City, presented the ninth annual Dr. Reaner and Mr. Henry Shannon Endowed Lectorship in Minority Health on Feb. 28. Henry B. Randall, M.D., F.A.C.S., a transplant surgeon and director of the Henry and Marion Block Liver Disease and Transplant Center in Kansas City, presented the School of Medicine’s ninth annual Dr. Reaner and Mr. Henry Shannon Lectureship in Minority Health on Feb. 28. Randall, who serves as an associate professor of surgery at the School of Medicine, talked about health disparities from a national perspective as they relate to transplant surgery and oncology care. “Health disparities are an ongoing problem,” said Randall, who explored some of the findings in a Department of Health and Human Services action plan to reduce racial and ethnic disparities that was released in 2011. Randall said disparities are caused by the complex interaction of multiple factors that can include a lack of many things such as insurance coverage, a regular source of care, financial resources, and health literacy, as well as a lack of diversity in health care workers. All of those factors and others can work together to create a noticeable difference among racial and ethnic groups in the number of incidences, prevalence and mortality rate regarding transplant surgeries and oncology care. 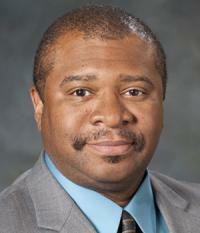 Randall has served on the faculty at the School of Medicine since 2010. Prior to that, he practiced as a transplant surgeon at Baylor University and Children’s Medical Center in Dallas. He also spent two years as the director of liver transplantation and HPB surgery at the University of Louisville in Kentucky. The Shannon Lectureship is endowed by Shannon, long-time associate dean for minority affairs at the School of Medicine, and her husband, Henry. 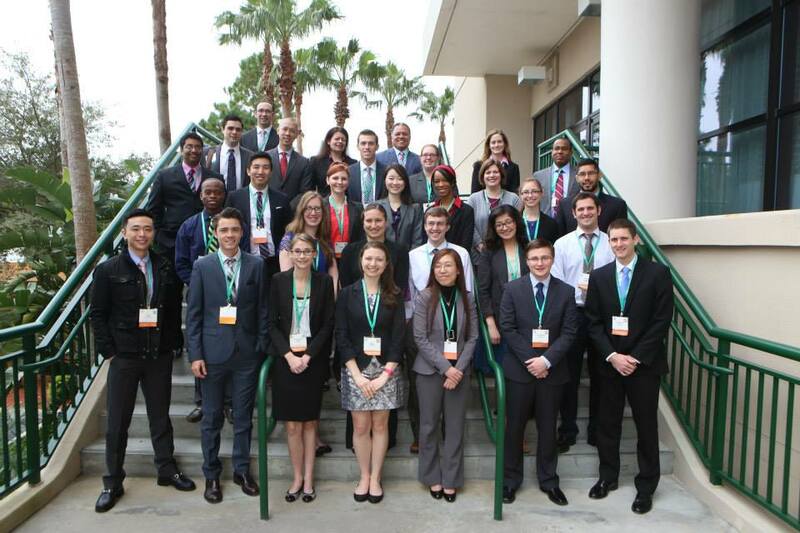 Kevin Xiao, MS 4, (third row, far left) took part in the Society of Thoracic Surgeons 50th annual national meeting in January after receiving the society’s 2014 Looking Forward to the Future Scholarship. Kevin Xiao, MS 4, enjoys working with his hands. As an aspiring doctor, Xia found the idea of cardiothoracic surgery equally to his liking during his second-year human structure function class and spent time doing research and shadowing Keith Allen, M.D., a vascular surgeon at Saint Luke’s Hospital. “The first time scrubbing in on an open heart procedure was nothing short of magical,” Xiao. Xiao took that interest a step further earlier this year when the Society of Thoracic Surgeons awarded him a “2014 Looking to the Future Scholarship” to attend its national program in Orlando, Fla., Jan. 25-28. The conference offered selected medical students an introduction into the field with presentations from current cardiothoracic surgeons on innovations in the field, misperceptions and stereotypes surrounding cardiothoracic surgery and the various training pathways to becoming a cardiothoracic surgeon. “I think one thing that was emphasized was to have a great attitude and work hard in every one of your clinical rotations. Cardiothoracic surgery is a field that is extremely demanding and hard working. There are very few integrated 6-year programs around the country right now and the match rate is less than 50% for those spots, so grades and Step 1 score are very important,” Xiao said. The University of Missouri-Kansas City has announced the search committee for Dean of the School of Medicine. Betty Drees, M.D., who has served as dean for 12 years, will remain in the position until a new dean is appointed and plans to stay at the School as faculty. The 22-member search committee will work with Greenwood/Asher & Associates, a Florida-based search firm specializing in higher education, with the goal of hiring a dean before the fall 2014 semester. The committee includes deans from each of UMKC’s Hospital Hill Campus Schools of Dentistry, Medicine, Nursing and Health Studies, and Pharmacy, which have a core mission of collaborating on interprofessional health education. The School of Medicine has announced Raymond Cattaneo, M.D., M.P.H., ’03, a Kansas City pediatrician and president of the School’s Alumni Association, as the new Assistant Dean for Years 1 and 2 Medicine. As assistant dean, Cattaneo will be responsible for promoting a cohesive and nurturing atmosphere for first and second-year students that will help them establish a solid foundation for success at the School of Medicine and their career development, while also realizing their emerging roles in the medical profession. The assistant dean works with Years 1 and 2 support staff to educate students about academic support resources available within the med school and the Volker campus. 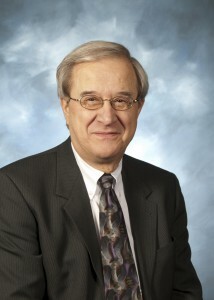 Cattaneo has been a general pediatrician with Priority Care Pediatrics since 2006. He will continue his private practice in addition to his role with the School of Medicine. He is also a volunteer and medical director of a wellness clinic at Community LINC, a Kansas City organization that works with the community’s homeless and impoverished families. After graduating from the School of Medicine, Cattaneo completed his internship and residency training in pediatrics at Children’s Mercy Kansas City. He is currently working toward completing his Master of Public Health Degree at UMKC. He has remained active in promoting the School and has strived to keep alumni connected to the School as president of the Alumni Association since 2010. “As a physician and an alum, I will have a different, unique perspective on being a Year 1 or 2 medical student than some other staff,” Cattaneo said. 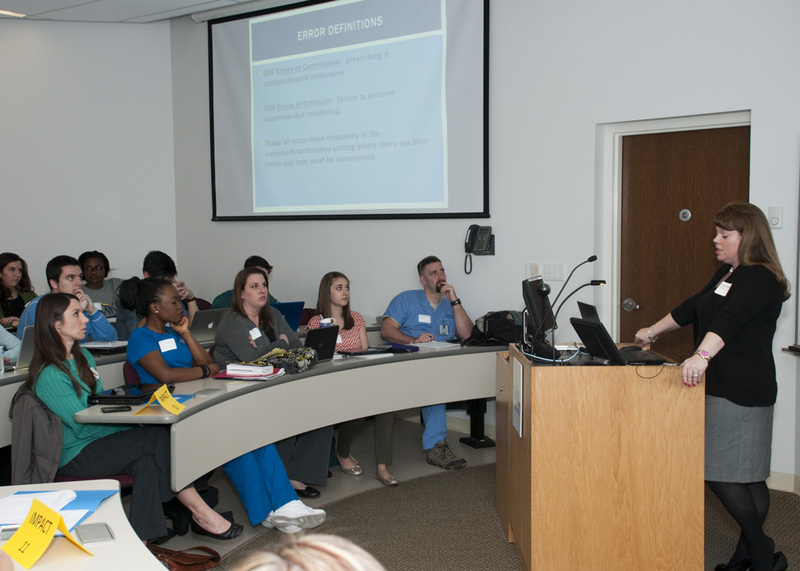 Students from the UMKC Health Sciences Schools of Medicine, Dentistry, Nursing and Health Studies and Pharmacy gathered in the School of Medicine’s Theater C and other classrooms across the Hospital Hill Campus on Feb. 21 for an afternoon of interprofessional education study. Providing quality patient care in today’s world is becoming a team effort. Health care educators are taking a team approach to teaching it as well. More than 560 students from the UMKC Health Sciences Schools of Medicine, Dentistry, Nursing and Health Studies and Pharmacy participated in an afternoon of interprofessional education on Friday, Feb. 21, with synchronized classes in classrooms throughout the Hospital Hill Campus. Classes included teleconferencing with UMKC School of Pharmacy students on the University of Missouri campus in Columbia, Mo. During the classes, pre-assigned groups of students from seven disciplines — dentistry, dental hygiene, medicine, physician assistant, nursing, graduate nursing, and pharmacy — learned about patient safety and worked together to solve problems in small and large groups. Stefanie Ellison, M.D., assistant dean for curriculum at the School of Medicine, is one of the curriculum organizers. Interprofessional education involves students from two or more disciplines learning together, with the charge of cultivating collaborative practice to provide patient-centered care. Henry Randall, M.D., F.A.C.S., a Kansas City surgeon and director of the Henry & Marion Bloch Liver Disease and Transplant Center in Kansas City, Mo., will present the annual Dr. Reaner and Mr. Henry Shannon Lectureship in Minority Health at noon on Feb. 28 in the School of Medicine’s Theater A.
Randall, an associate professor of surgery at the School of Medicine since 2010, served as a transplant surgeon at Baylor University and Children’s Medical Center in Dallas from 2002 to 2010. Before that, he spent two years ad the director of liver transplantation and HPB surgery at the Unviersity of Louisville, Ky. 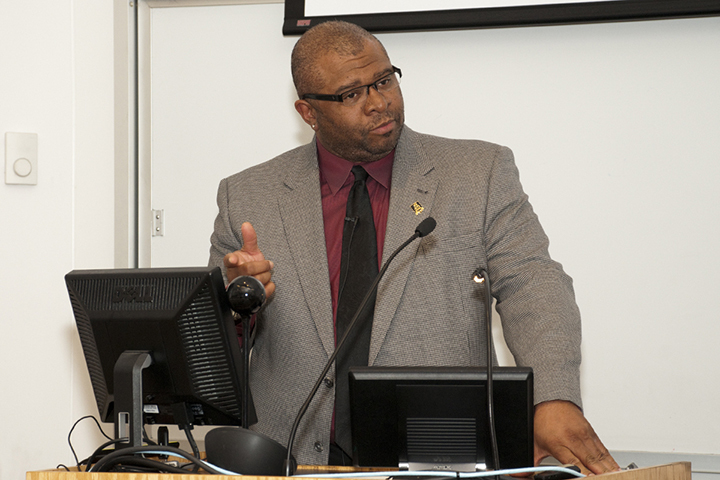 The Shannon Lectureship is presented each February in conjunction with Black History Month. School of Medicine Senior Associate Dean Paul Cuddy, Ph.D., (left) and Dean Betty M. Drees, M.D., manned the finish-line banner for the 2012 Hospital Hill Run UMKC School of Medicine 5K. Changes are coming to the annual Hospital Hill Run this June that are designed to make the School of Medicine-sponsored 5K run a bigger, family-friendly event with a new night and time, and even a new course. The Hospital Hill Run UMKC School of Medicine 5K will still start and finish on Grand Boulevard in front of Crown Center, but for the first time, the run takes place on a Friday night. This year at 7 p.m. on June 6, the evening before the Hospital Hill Run’s half marathon and 10K races. Race organizers say the changes to the 5K run will enhance the experience and make it more family friendly by allowing parents with young children to participate while pushing strollers, which are not allowed in the half marathon or 10 runs. Those races will take place on the morning of June 7. This year’s route will take participants north on Grand Boulevard to Truman Road, then south on Oak Street and Gillham past Hospital Hill, and finally up McGee Trafficway back to Crown Center for the finish. 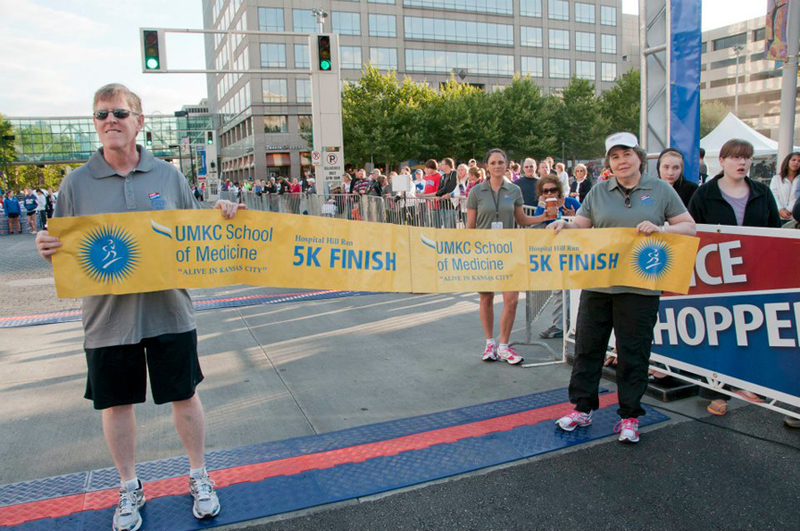 The School of Medicine has served as the title sponsor for the 5K run since 2007. The 5K run, a part of Hospital Hill Run since 2001, has long been a popular event drawing as many as 2,000 participants for that race alone. School of Medicine faculty, residents, students and staff will still serve as race day volunteers, manning first aid stations throughout the race routes for both Friday and Saturday events. Sports medicine faculty and fellows from the School will also provide medical services for race participants for all three races. All UMKC School of Medicine 5K participants will receive a sports backpack, a finisher medal. A post-race party is planed following the race at the Crown Center Square. For more information and registration, visit the Hospital Hill Run website at http://www.hospitalhillrun.com. 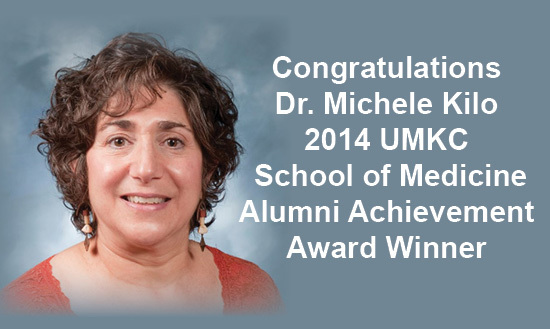 Michele Kilo, M.D., ’84, has been selected by the University of Missouri-Kansas City Alumni Association as the 2014 Alumni Achievement Award winner for the School of Medicine. Kilo serves as Director of the Division of Developmental and Behavioral Sciences at Children’s Mercy Hospital with specialties in Autistic Spectrum Disorders, Mental Retardation and Related Disorders and Attention Deficit Disorders. After joining CMH she became the President of the Medical Staff, served on the Board of Directors and has chaired the Medical Executive Committee and Medical Staff Health and Wellness Committee. She was appointed in 2009 by Missouri Governor Jay Nixon to the Missouri Commission . Kilo’s dedication to special needs children lead to her service as president of the Jellybean Conspiracy Board of Directors. The organization is a Kansas City based not-for-profit meeting the social needs and artistic aspirations of high school students with disabilties. 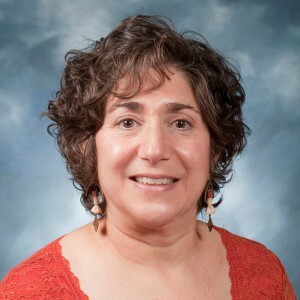 In addition to her position as Associate Professor of Pediatrics at the UMKC School of Medicine, Kilo has served in volunteer positions such as president of the School of Medicine Alumni Association and chair of the School of Medicine’s Board of Visitors. She is a Lifetime Member of the UMKC Alumni Association. The University also selected the Waldman family — that includes two School of Medicine graduates, Steve Waldman, M.D., ’ 77, and son Corey Waldman, M.D., ’12, and current School of Medicine student Reid Waldman, MS 3. The University will recognize of this year’s award winners at the 2014 Alumni Awards Celebration at 11:30 a.m. on April 24 at Swinney Gymnasium. Eugene Fibuch, M.D., professor and long-time chair of the School of Medicine’s Department of Anesthesiology, has announced plans to retire and step from his position as chair in Spring 2014. The department has been fortunate to have his leadership as the Chair since 1997. He has served as only the second chair in the history of the department, and was the second program director for the residency for 35 years until transitioning that responsibility to Adam Reese, M.D., ’99, earlier this year. Under Fibuch’s leadership, the residency program flourished, graduating more than 125 residents, most of whom remain and practice in this region. Fibuch recruited the first Westport/Missouri Endowed Chair in Anesthesiology, John Wang, M.D. Together, they enhanced the research and scholarship in the department. His leadership has extended beyond the department to include quality initiatives at Saint Luke’s Hospital and Saint Luke’s Health System. His efforts were instrumental in the recognition of Saint Luke’s Hospital as a Malcolm Baldrige Quality Award winner in 2004. Most recently, Fibuch participated with the School of Medicine and the UMKC Bloch School for Management in the development of a Physician Leadership Program that is now in its second year. He served as vice-chair of the Department of Anesthesiology from 1985 to 1997 and was appointed chair of anesthesiology at UMKC in 1997, overseeing a program with faculty and residents at Saint Luke’s Hospital, Truman Medical Centers, and Children’s Mercy Hospital. Reese took on the role of residency program director last October. 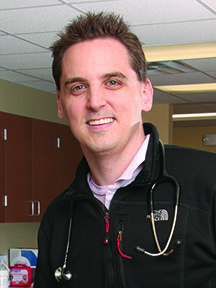 Reese completed his anesthesiology residency at UMKC and a neuroanesthesia fellowship at the Mayo Clinic. The School has formed an eight-member search committee, chaired by Mark Friedell, M.D., professor and chair of surgery, and is currently in the process of developing a list of candidates for a new department chair. The position has both academic leadership responsibilities for the department across the School of Medicine and clinical leadership responsibilities at Saint Luke’s Hospital. The affiliation agreements between the UMKC School of Medicine and its affiliated hospitals of Saint Luke’s Hospital and Truman Medical Center stipulate the process for academic department chair searches. The Anesthesiology Chair is primarily located at Saint Luke’s Hospital, with required residency rotations at Truman Medical Center. Thus the search committee is composed of eight members: three appointees from St. Luke’s Hospital, three from the School of Medicine, and two from Truman Medical Center. There will be opportunities for faculty members from all affiliates, including Children’s Mercy Hospital, to meet candidates when they interview. A search firm will be engaged for a national search for the next chair of the department.